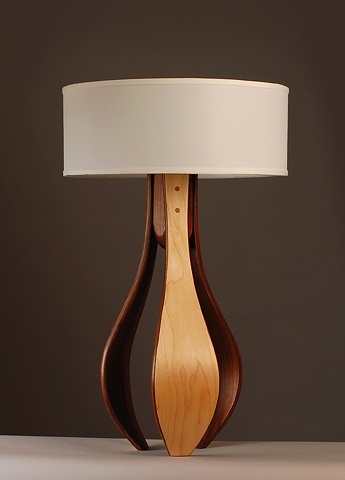 - Table lamp shown in Walnut and maple with white lampshade. - Full range dimmer socket. - This price does not include shipping.